Practices: All 1300SMILES Practices in South East Queensland & Dental Centre (Buderim, Maleny). Excludes Brisbane (BOH), Dental Members Maroochydore and Dental Members Springfield Lakes. The Promoter is 1300 SMILES LIMITED ABN 91 094 508 166, 105 Denham Street, Townsville, Queensland 4810 (Promoter). Promotion Period is between 8:00am, 15th April 2019 and 8:00pm, 20th May 2019 (Promotion Period). One (1) trip to the Holden State of Origin 2019 – Game 1, Suncorp Stadium on Wednesday June 05, 2019 for two (2) people. Valued up to $3,000. $150 eftpos gift card to be used for fuel to get to and from the residence to the Brisbane Hotel. One (1) nights accommodation at a selected 3-star or above Brisbane hotel (Chosen by the Promoter). Bedding configuration subject to availability. Excludes Valet, Food and Beverage, transfers to and from the airport or to the game, mini-bar or in-room charges such as paid movies, room service, laundry. Please be aware pre-authorisation on credit card is a responsibility of the winner. The Promoter is not responsible for supplying or the cost of Travel Insurance. This is the responsibility of winner. Attend an appointment at a 1300SMILES practice within South East Queensland or a Dental Centre practice (Buderim, Maleny) with the Promotion Period. 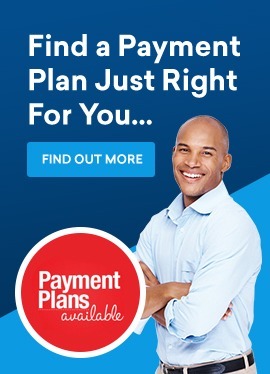 Have paid in full for their treatment or have entered a payment plan recognised by 1300SMILES or Dental Centre practices. Provide proper name, email and phone number to the Promoter at time of appointment. Each person is limited to one ‘Eligible Entry’ per treatment/visit. Patients who only attend a ‘Consultation Only’ appointment will not be eligible to enter the promotion. The random draw to determine the winner from all the Eligible Entries made during the Promotion Period will take place at 10am, 22nd May 2019 at 105 Denham Street, Townsville 4810. For any false or misleading conduct of any kind. The Promoter reserves the right in its sole discretion or subject to any written directions from a regulatory authority, to modify, suspend, terminate, or cancel the Promotion at any time without notice. The Promoter, (including its officers, employees and agents) will not be liable for any loss or damage whatsoever (including but not limited to direct or consequential loss) for any theft, unauthorised access, third party interference, any technical difficulties or equipment malfunction, or personal injury (including loss of opportunity) suffered or sustained, in connection with the Promotion, (whether negligent or not) of the Promoter or officers, employees or agents, except for any liability that cannot be excluded by law. This offer cannot substitutable or redeemable for cash.